Director Rich Moore has been contributing to American comedy animation for three full decades, starting as a writer on the late-80s revival of “Mighty Mouse” and making a name for himself by supervising some of the all-time best episodes of Matt Groening’s “The Simpsons” and “Futurama” in both shows’ fruitful early years. 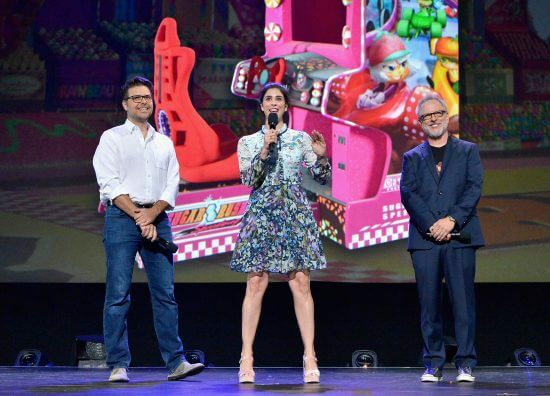 In 2012 he partnered with Disney— and screenwriter Phil Johnston (“Cedar Rapids”), among other collaborators– to create “Wreck-It Ralph,” a hilarious and touching tribute to classic arcade games and their deceptively one-dimensional characters. After Moore reteamed with Johnston (again, with plenty of talented help) for Disney’s Oscar-winning “Zootopia” in 2016, the two have settled into a co-director relationship for “Ralph Breaks the Internet: Wreck-It Ralph 2,” due out this holiday season. This morning saw the premiere of the sequel’s first full trailer, and I had the opportunity to speak with both filmmakers about what this new movie has in store for Ralph and his diminutive but plucky friend, Vanellope von Schweetz. ITM: It seemed to me in the first movie that Litwak’s Arcade was at least partially inspired by nostalgia for the 1980s. I’m curious if you’re addressing a kind of cross-generational culture clash by introducing the internet into that world. RICH MOORE: (laughs) Maybe a decade late. JOHNSTON: …by getting a WiFi router. Like you said, the first movie was a love letter to arcades and those types of video games, and now, while they [still] exist, they are the anomaly. And so what we’re looking to do is enter the modern world while still showing our love and affection for those old characters and old games. Mr. Litwak, the guy who owns the arcade, is entering the modern world, and Ralph and Vanellope are taking a big step forward by leaving the arcade and going into the internet. We’re treating them sort of like small-town kids going to a big city, which is a little bit how you can look at nostalgia vs. future, like you’re saying. That’s a great way of putting it, but it’s not so much a clash between generations as it is the loving integration of modern technology into that older world… and hopefully they find harmony. MOORE: And I think it’s also a good analogy that works towards the characters themselves. Upon getting to the internet, Ralph is the one who’s not quite sure about it. He questions it. He doesn’t have such a great time, initially, but Vanellope is a younger person. She loves this place, and it’s very intuitive to her. It seems [as though] the possibilities are endless for her, so she sees [the internet] as a new adventure, where Ralph is a guy that loves home. He loves the arcade and what that means to him, so in a way it does become a source of conflict between the two main characters and their friendship. 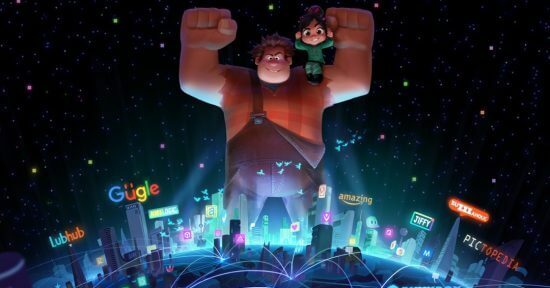 ITM: Without giving away too much of the story itself, what would you say specifically makes the internet such a fertile ground for Ralph and Vanellope to explore? JOHNSTON: Well, the simple engine of the story is that a part of Vanellope’s game [“Sugar Rush”] breaks, and so they are going into the internet on this quest to fix her game, to find that part at a website. So the very nature of the story is ‘go to the future in order to protect the past,’ in a way. [Ralph and Vanellope] go in to this modern world so they can hold on to their life in the arcade, and that ultimately is going to test their friendship. By sending them to this modern, futuristic world, that’s the central conflict of the story, where their friendship is really put to the test. 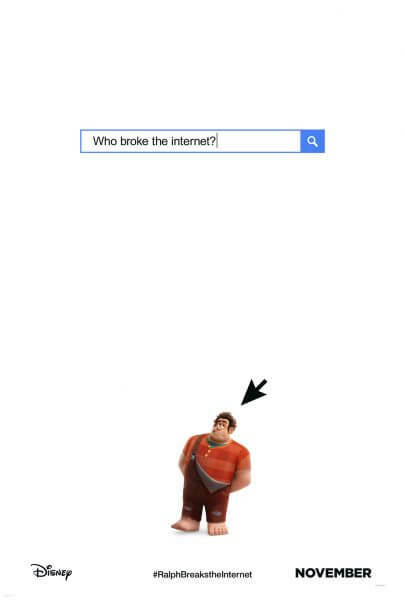 ITM: Wreck-It Ralph, like most Disney animated features, is known for having a terrific voice cast. What did John C. Reilly (Ralph) and Sarah Silverman (Vanellope) bring to the process of creating this sequel? MOORE: They bring immense talent, and we think of them as friends after the work we did together on the first movie. They bring their sense of humor, they bring a deep humanity that’s infused in those characters, and they bring a great chemistry as two great actors working together. That’s what we loved so much about the characters in the first film, our process of recording our actors together. We’re giving the audience that chemistry that comes only when two actors work together, not just taking an actor into a recording booth alone in a black box and recording them, and trying to manufacture that kind of chemistry in an editing room. They really brought those characters alive by putting a lot of work [into it]. JOHNSTON: I would say like 75% of the time for their scenes, we get them together, which I think is not that common in animation. Actors often say to us, ‘Oh, we just go in and are alone in a booth’ like Rich was saying. But actors feed off of each other, and John and Sarah have such great chemistry and are good friends in real life. So I think that comes through, particularly when we get them together, in addition to the other cast. ITM: In the clips you showed at D23 Expo 2017, Ralph and Vanellope meet a whole bunch of Disney Princesses. How did that idea come about and what was it like assembling that group for the voice-over sessions? This place has lots of listicles and quizzes. If Ralph took a quiz, like ‘Are you an Anna or an Elsa?’ And Ralph going, ‘Whoa, I’m an Elsa!’ and [that] turned into, ‘What if we personify that place? What if it felt like Comic-Con or D23 [Expo] mixed with Disneyland?’ And it just started to snowball from there. JOHNSTON: You know what I’m remembering? The actual germ of the idea came from, ‘What if they went to the Disney Infinity website?’ which was not there anymore, and what if the characters that were in Infinity were just still hanging out there? And then from that idea, we went, ‘No, it would be better if it’s an existing site.’ So these ideas sort of grow on top of each other and build and build and build. MOORE: Then as it became a real thing, you go into the practical process of, ‘Okay, now we’ve got to storyboard it. Now we have to record the dialogue. Now we have to see if the actresses are interested in coming back.’ And that was a huge piece of it. Overwhelmingly, everyone was like ‘Yes, I would love to do it.’ So we were able to get the voices of those Princesses, those who are still with us from the old days, the official voices, and everyone from the modern age to come in. 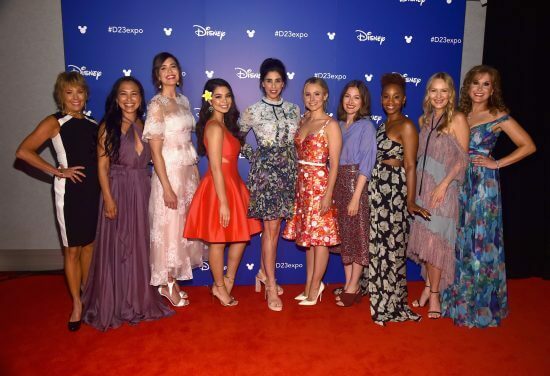 About halfway through, I had to say to myself, ‘Wow, I never thought I would be directing a movie where I would be meeting each and every one of the actresses that voiced one of the Princesses. It was like, ‘Wow, this is really happening. This is a real thing.’ And I think, gauging by the response it got at D23 [Expo], it’s a scene we’re really proud of. We’re having some fun at our own expense, but in a respectful, loving way. ITM: You mentioned Disneyland, and I was wondering if you could talk a bit more about how the park helped shape the Oh My Disney scene, and the influence of Disney theme parks on ‘Wreck-It Ralph’ in general. MOORE: I think definitely the entrance to Oh My Disney is [inspired by Disneyland]. JOHNSTON: Yeah, as they’re approaching, you see the iconic castle, but as you look closely, you can see in the design it’s sort of holographic and there are floating elements to it. But the entrance to that website is without question inspired by the park. Once you’re on the floor of the site, inside the site, it is almost more like D23 [Expo] in a way, in that there are different booths and vendors, where the quizzes and stuff are happening. But it has the feel of a D23 or a Comic-Con with elements of Disneyland or Disney World, for sure. And obviously all the Disney-owned brands are represented under that roof, so it’s a big mash-up. That website has Marvel and Star Wars and Disney Animation and Pixar and everything, so we kind of wanted to incorporate all of those things into the site. There’s something about that design aesthetic that really captures the audience’s imagination, and I think the parks do that well, also. It’s deeply ingrained in our design process to make a place feel like you could step into it and walk around and explore beyond a door and find something else. It’s part of our aesthetic, really. ITM: With all the Disney, Marvel, and Star Wars in-jokes and Easter Eggs, “Wreck-It Ralph 2” could potentially have the most self-referential humor of any Disney animated movie. How do you balance that kind of humor with the character-based storytelling that makes “Wreck-It Ralph” work on an emotional level? MOORE: (laughs) It may be the only one to have that kind of humor. JOHNSTON: There’s an element of satire, obviously. To some extent this movie, without judging the internet, [is] living in the world of the internet. Literally, you could find anything there. [The references] could be anything. So I think [the aim is] satirizing that in a gentle way, and allowing our characters to always lead the story. [On] the internet, anything can happen– good and bad, of course. The fact that [Ralph and Vanellope are] in the internet, where there are billions of websites, it felt like an organic part of the story to get them in there without feeling like we’re shilling, frankly. We’re very aware of that. We don’t want it to feel like a Disney advertisement or anything like that, so we made sure that it’s integral to the story and natural for the characters to be there. And then we have a little fun making fun of ourselves. That’s the balance we strike of satire, and we’re trying to say something without being mean about it. I think the internet really opens the door for that kind of thing. MOORE: I think the internet has that kind of sense of humor to it. It’s so self-referential. It’s layer upon layer of sself-references, so to our point of view, it’s an appropriate kind of story and location that you can have humor like this. If it wasn’t there it would feel a little strange, because so much of the humor of the internet comes from that direction, I think. ITM: Lastly, we see in the trailer that Ralph is still most interested in video games above all else. How does that play out in the world of online or mobile gaming? It seems like that bunny isn’t quite prepared for what Ralph is bringing to the table, so to speak. JOHNSTON: Ralph is always a little overzealous in his approach to life. 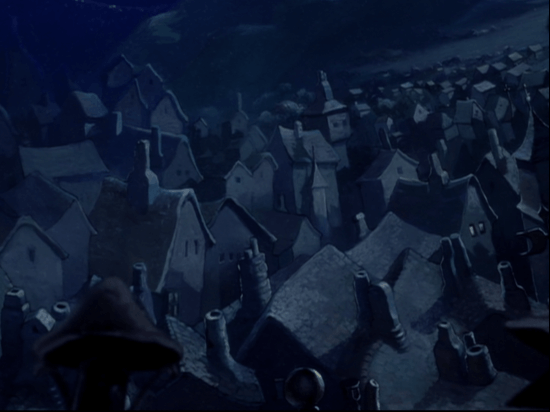 Everything he does [in this movie] is in service of trying to save Vanellope’s game back home, and so he’s going full bore in doing that. In every scene we have, he’s going all out to preserve his way of life. MOORE: I’m not quite sure how exploding a bunny fits into that. (laughs) But you’ll find out. “Ralph Breaks the Internet: Wreck-It Ralph 2” will be released on Wednesday, November 21st in theaters nationwide.